Kodi Mega-Guide: What is Kodi and How Can You Start Using It? What is Kodi and how can you start using it? Kodi is a popular media player, capable of playing back both local and streamed media. Kodi is capable of running on a plethora of different devices, such the Amazon Fire TV or TV Stick, Roku, Android TV boxes, iPhone, iPad, Windows PCs, Macs, USB flash drives, and more. You may or may not have heard of it before but stay tuned to learn what it’s all about! 3 Kodi security risks: What are they? How can you avoid them? Kodi is a media player developed by the XBMC Foundation. Kodi allows streaming of both audio and video content from many different sources. The media player is also open source, which means that it is freely available to the public. Several different types of remote control and gamepads can be used to navigate Kodi’s interface as well. With Kodi, many users opt to stream media through both first and third-party add-ons, or playback media directly from a local storage medium. When I say local storage, I mean media stored on your computer’s hard drive, or on external storage media such as an external hard drive, DVD, or flash drive. Streaming, on the other hand, allows for the playback of media over the internet before it’s fully downloaded. The data is deleted after you finish with the streamed content. Your computer only stores small parts of the file during the streaming process. This method of accessing media requires a fast and stable internet connection for higher quality streams. An add-on is essentially an app within Kodi. There are add-ons which contain streaming media sources, but there are also add-ons that can do things such as give information about a vehicle’s registration. A repository is usually a collection of add-ons but they can sometimes contain just one add-on. Repositories can be installed via a ZIP file, which can be delivered to Kodi either directly by adding the web source, or by going to that web source from a browser. This process is outlined below. 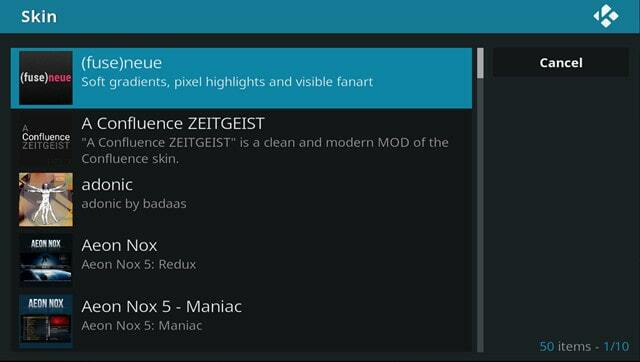 While this guide contains a ton of information to help you both understand and setup Kodi, there are also a few communities out there with loads of helpful information that you should check out. The Official Kodi Community Forum. This forum provides information on anything from general Kodi information to more technical topics such as how to customize the look of your Kodi installation. Communities on Reddit such as /r/kodi which is the official Kodi Reddit community. /r/Kodi only focuses on official add-ons. There is also /r/Addons4Kodi/ which focuses on providing information about third-party add-ons available for Kodi. Kodi makes it very easy to access your favorite on-demand media as well as live content. Many other available channels require users to ‘jump through hoops’ in order to access their desired content. Kodi provides users with the option to play back several different types of media. You will be hard pressed to find a media format which Kodi can’t play. Visit the Kodi Wiki for more information on supported formats. Install plugins (add-ons). 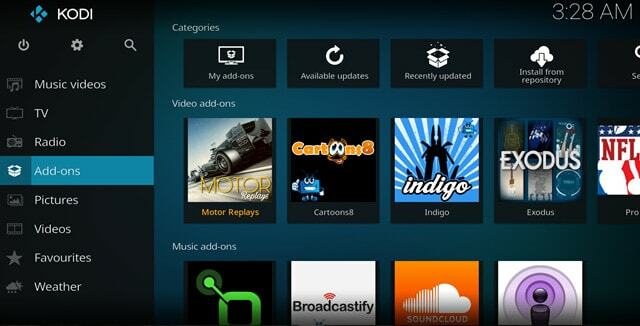 (Kodi allows for the installation of user created plugins, more popularly known as add-ons. This is one of the most desired Kodi features. Add-ons can allow users to do anything from watching live TV shows to checking information on vehicles. Although Kodi is capable of playing several different kinds of media, users should note that content must be provided by the user. Upon download, Kodi comes as a bare program without any plugins or other media installed. As mentioned, Kodi is capable of running on several different devices. However, some devices pair more easily with the media player. Android TV boxes or sticks, such as the Amazon Fire TV Stick, are probably the most popular devices which persons choose to run Kodi on. When using Kodi on devices such as the Amazon Fire TV Stick, it’s always a good idea to use a VPN. We will touch on this more below. Android TV boxes/sticks are devices which are capable of playing back media through a user’s TV via an HDMI connection. These devices make it easy to connect directly to a TV and can be controlled with a remote or gamepad. As you might have already guessed, Android TV boxes are box shaped, and resemble set-top boxes. Android TV sticks, on the other hand, typically resemble large flash drives. However, instead of a USB type A connector, they have an HDMI connector for plugging them directly into a TV. You should note that Android TV sticks are usually less powerful than their box counterparts. However, they are more compact and affordable. This might be important if you require a more powerful setup based on your preferences and needs. Basically, if you think you are the type of the person who will be running a lot of add-ons, it may be in your best interests to invest in an Android TV box, instead of a stick. Before we go any further, it is necessary to address the various legal controversies that surround Kodi. While Kodi itself is legal, there are many third-party add-ons available which allow users to illegally stream copyrighted content. In addition, since Android boxes/sticks are the device of choice for running Kodi, questions have also been raised about their legality. However, these devices themselves are not illegal. Third-party add-ons have been a dicey area recently. Authorities in several countries are cracking down on illegal streaming facilitated by third-party Kodi add-ons. For example, the European Court of Justice recently ruled that accessing copyrighted material through streaming sources is illegal. The ruling brings some clarity to whether temporarily downloading only a portion of a file is legal or not.This ruling only affects EU member states, however. If you wish to look at this ruling more closely, take a look at the official press release from the European Court of Justice. In the UK, in what is considered a landmark case, a shopkeeper appeared in court, accused of facilitating illegal activities by selling ‘fully-loaded’ Kodi boxes. In addition, in Canada, some of the country’s largest cable providers have started a court battle targeted at persons selling “fully loaded” Android TV boxes. This includes boxes loaded with third-party Kodi plugins. For the time being, these defendants have been forced to stop selling Android TV boxes loaded with third-party add-ons. Feel free to take a closer look at the ruling made in Canada in the federal court in Ottawa, Ontario. It is probably clear by now that the legal concerns are quite serious. The director general of the Federation Against Copyright Theft (FACT) in the UK has even gone as far as calling the widespread use of Kodi boxes for illegal streaming an epidemic. Internet service providers (ISPs) are all too aware of the legal issues associated with Kodi. Some internet service providers have even started sending letters to Kodi users whose internet connections have been used to access illegal content streamed through Kodi. These letters urge users to consume media using legal means. 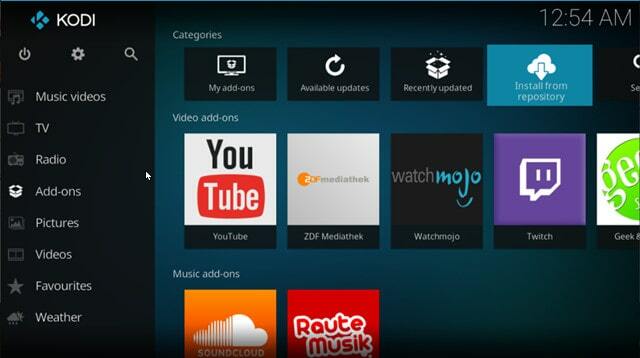 Kodi’s development team and the XBMC Foundation are aware that their software is used to access illegal media streams. For the most part, they have adopted a neutral stance and leave it up to the user to do with the software what they like. However, the Foundation has taken an increasingly active and vocal stance against third party add-ons that facilitate illegal streaming activities. They have particularly strong words to share regarding the issue of fully-loaded Kodi boxes. In response to illegal streaming, The XBMC Foundation has incorporated some methods to help encourage the use of official add-ons. If you want to learn more about the legal issues surrounding Kodi, please take a look at our “Is Kodi Safe And Legal” article. Taking all of the legal issues into consideration, let’s talk about how to actually use the software. It is important to stress again that the use of Kodi is perfectly legal. However, users who do choose to install third-party add-ons incur the associated legal risks. The latest version of Kodi available is Kodi 17.3 ‘Krypton’. Installation of the Kodi application itself is simple for most devices. Simply run the file corresponding to your operating system and follow the prompts. Before you get started, it’s probably a good idea to familiarize yourself with the user interface via the new Estuary (desktops and streaming devices) and Estouchy (mobile devices) skins. This is the default Estuary skin UI for the latest version of Kodi after installation. On the left side of the screen, you will find the various options used to access Kodi’s many different features, such as TV, Radio and Weather. Power: Users can exit, power off, create a custom shutdown timer, suspend the system, hibernate or reboot their system. From Kodi’s main menu you can access various categories of media such as Music and Videos. You have the option to either add your own media or access media through add-ons. For the TV and radio options you will need to configure a PVR setup. For the Music, Videos and TV Shows categories, you have the option to add files from your computer to Kodi’s library. This allows you to easily access your favorite content from directly within Kodi. Another way to enjoy media using Kodi is to access streamed content via add-ons. 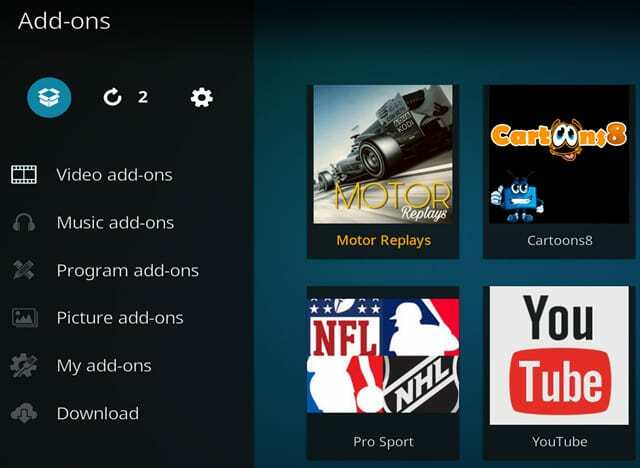 There are add-ons which are 100 percent legally available from the official Kodi repository. The Kodi repository comes pre-installed with Kodi, although the media player has no add-ons installed at the start. 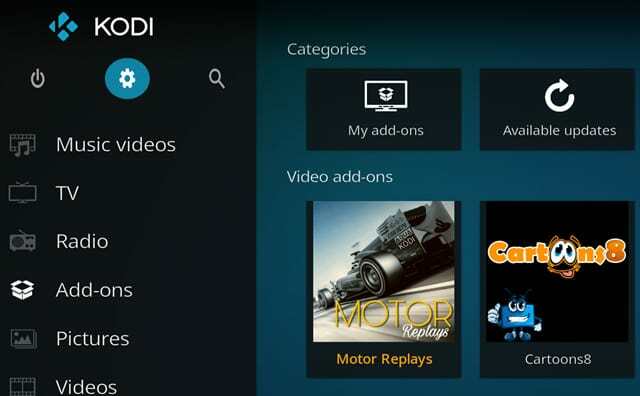 You can also find more options using our list of the 109 most popular Kodi addons. Please note that you will be taking a risk when installing third party add-ons given some add-ons stream content illegally. You should carefully consider the risks before going forward with the installation of such add-ons. The usual method for installing third party add-ons begins with adding an installation source. Now, you can enter the required source information. Under “Enter the paths or browse for the media locations,” click on and enter the URL corresponding to your source. Under “Enter a name for this media source” type a suitable name. On occasion, a name will be automatically entered. Next under Add-ons from Kodi’s main screen, select the package icon in the top left hand corner. After adding the addon source, you will need to go directly to that source from Install from zip, where you will find the option to download and install either an add-on repository or specific add-on zip files. 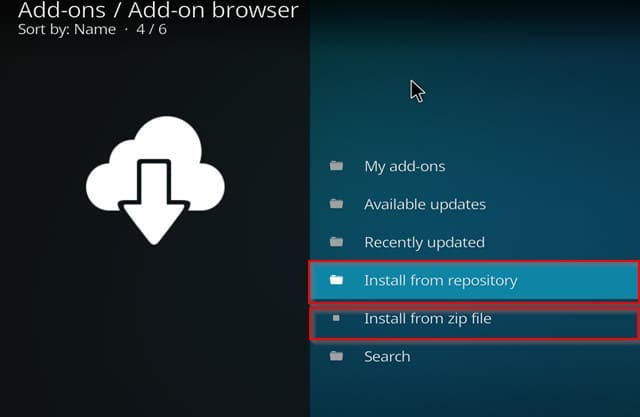 If adding a repository through the direct website link under Install from zip, you would then be able to search through the repository by going to Install from repository. Most add-ons can also be installed directly from a zip file under Install from zip file and searching your designated downloads folder for the plugin zip file. Feel free to take a look at our review of some of the better third party add-ons. 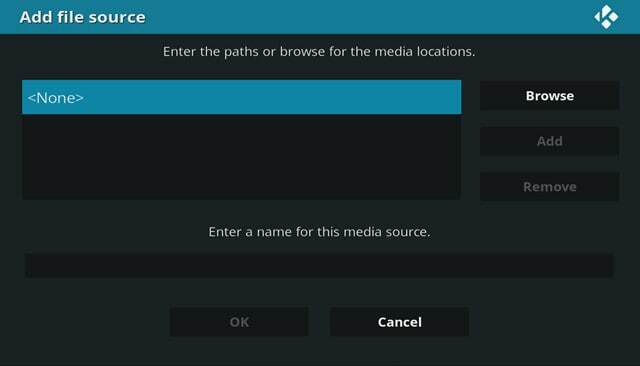 Another option for enjoying media through Kodi is by configuring the PVR functionality in Kodi. PVR on Kodi relies on a physical TV tuner/radio tuner adapter and its corresponding backend software which interprets live TV or radio signals. A PVR client add-on for Kodi can then be used to translate the information from the backend software into video or audio output. See the Kodi Wiki for more detailed information on how this works and how to setup PVR on Kodi. Using A VPN with Kodi is generally a good idea because VPNs can mask your identity online, protecting your privacy. Using a VPN can protect you against security risks such as “man-in-the-middle” attacks which involve a malicious party intercepting your connection and sending harmful data to your device. In addition, some ISPs may impose sanctions on customers who stream via some Kodi sources. This could lead to them throttling your connection, or they may even seek to take you offline altogether. The warning letters we have mentioned before are also a possible consequence. However, if you use a VPN, your ISP will not know that you are using Kodi. Another plus for VPNs is that they allow users to access content which usually might not be available in a particular location, also referred to as “geographically locked” content. A great VPN provides a strong connection, allowing users to carry out bandwidth-intensive activities such as streaming. This is especially necessary with live streams which aren’t compressed to the level of other types of content. Anyone looking to benefit from a VPN with excellent bandwidth may want to consider a reliable VPN such as IPVanish. The IPVanish VPN provides both speed and stability. After conducting many tests, we have found that IPVanish works with all of the Kodi add-ons we have examined. It keeps no logs so your internet activity is private from your ISP and is one of the few VPNs fast enough to work with Kodi. It can even help stop Kodi buffering. More VPN options are available and we have gone to great lengths to make sure that you are aware of as many great choices of VPN as possible. 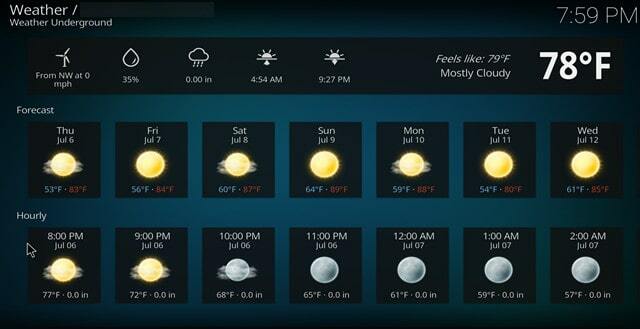 You can configure Kodi to display the weather in your location. This feature is quite convenient as it allows you to quickly glance at the weather when enjoying your favorite media. 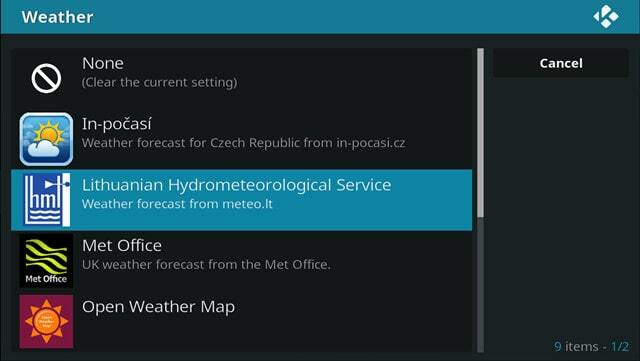 In order to set up the weather in your location, from Kodi’s main screen, select the Settings icon, the select Service settings followed by Weather. Under Service for weather information, you can select the service you wish to use to display the weather conditions in your location. In Settings>Interface settings, you also have the option of choosing various skins. 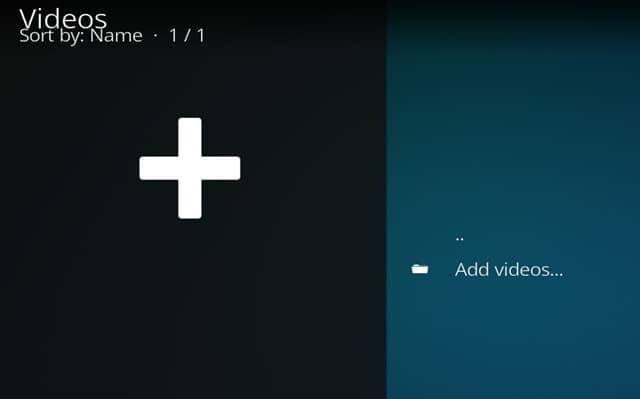 This allows you to tweak Kodi’s appearance to your preference. Kodi security risks: What are they? How can you avoid them? We’ve noted some reasons to use a VPN with Kodi earlier, including some of the security risks associated with using Kodi. That includes man-in-the-middle attacks and potentially hijacked systems. It’s important to understand just how and why Kodi security risks exist, as well as how you can reduce those risks. Your number one Kodi security risk comes with installing addons from unknown sources. 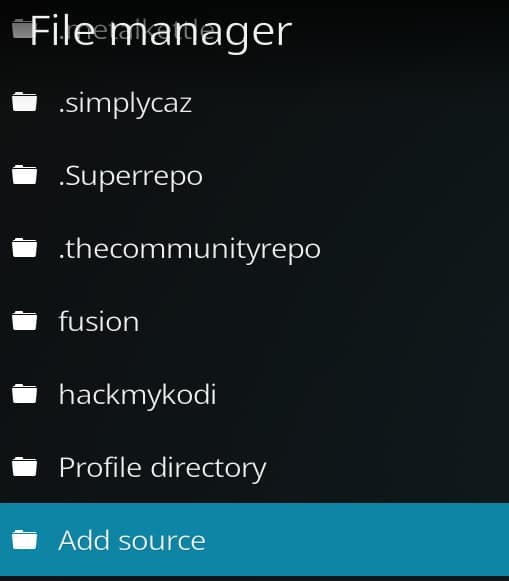 You’ll note that in order to install addons from outside of the official Kodi addon repository, you need to change the app settings to allow installations from « unknown sources ». The Kodi Foundation implemented this change with Kodi 17, following a very similar setting option available in Android devices like the Fire TV Stick. The problem with installing from unknown sources is two fold. First, if you install an addon directly through a zip file, that file could be corrupted or hijacked. A hijacked addon could install malware onto your system, be used in MiTM attacks, or be used to access information on your computer. The second issue comes with installing addons through linked sources. As Kodi allows you to connect the app to online sources, you may end up connecting to an untrustworthy location. Linking directly to those sources gives them the ability to make changes to any installed addons linked to that source. That means you could download and install a trustworthy addon from that location, but later find it was updated without your consent. For most users, knowing exactly what changes have occurred is extremely difficult. If you’re installing addons from any source, the first is impossible to prevent. However, you can prevent linked sources from making changes to addons without your permission. To do so, go to your Kodi settings > System settings > Add-ons. From there, locate « Updates » and change it to either « Notify, but don’t install updates », or « Never check for updates ». Either will prevent any unwanted changes from happening to your system by addon developers. For its part, addons in the official Kodi addon repository are extremely trustworthy. While it’s possible they can be hijacked, there have been no cases of that happening. However, there have been cases of third-party addons from outside the official source getting hijacked, even by their own creators. In an early 2018 article, TorrentFreak highlighted a little-known Kodi security risk associated with its remote server option. While many Kodi users do not realize that Kodi can be accessed and operated remotely, this is a feature that has been with Kodi for years. Under Settings > Services, you’ll find an option called « Control ». Using this, you can allow remote control from application on other systems, as well as over a web interface. For the most part, those who use this use it to access movies and music saved on their computer remotely. However, TorrentFreak reported that unsecured remote control can allow pretty much anyone to access not only your addons, but to also change and manipulate your Kodi application. This is a huge security risk. Even if you aren’t using the remote server option, it’s a good idea to go into the settings and ensure that HTTP control is turned off. If you do plan to use the remote server, make sure you create a strong password through the settings. Any time you don’t want to use the remote option, it’s best to turn it off until you need it again. We at Comparitech hope that you have a better understanding of the powerful capabilities of Kodi. While this guide may be enough to get you up and running, you may want to check out some of our other articles and resources for more in depth information on more specific topics. IPVanish VPN review 2017: IPVanish is one of the most popular VPNs available for Kodi, so it is a great idea to familiarize yourself with its functionality and capabilities. Is Kodi safe and legal? What precautions should you take? : We touched on this earlier and also provided a link to this article further up. We’re mentioning it here again so that you are fully aware of the legal stuff you need to take into consideration if you choose to use third party add-ons. The best Kodi builds of 2016 and 2017: A kodi build is a package that you can install which contains several add-ons. Its user interface is also usually customized. This is a “no-hassle” way of getting up and running with customization and third party add-ons. Guide: 6 Best Kodi Live TV Addons for 2017 That Actually Work! : Third party add-ons for Kodi have always had the tendency to be hit and miss. This is especially the case these days with authorities in several countries cracking down on some of these add-ons. Read this guide to see which ones actually work. TVAddons.ag down: These are the best Fusion and Indigo add-on alternatives: Arguably once the most popular source for Kodi add-ons, Fusion repository and Indigo installer are currently down. Find out how you can access the add-ons which were usually downloaded from these sources. Portable Kodi installation for computers: If you are running Kodi on your Mac or Windows PC, you may wish to run a portable installation of Kodi from a USB flash drive. Doing this enables you to take your Kodi installation with you, regardless of where you go on a flash drive.